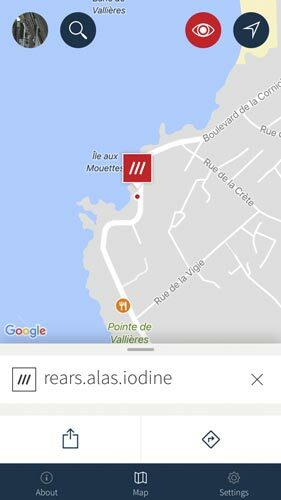 What3Words is an ingenious mapping app for Android and iOS devices – and it’s also available on the desktop. It’s a free download from the Google Play Store or from the iOS App Store, and it’s the easiest way to find places of interest. What3Words divides the world into 3-metre squares – 57 trillion of them. And each square can be identified by three everyday words. All you have to do is to type in the three words and What3Words will take you straight there. Why is it better than a postcode? What3Words is good because it takes you directly to the shop, restaurant, or point of interest – no hunting around when you get to the approximate location. Because each three-word combination pinpoints a 3-metre square, you’ll be sure of getting exactly to the point you want. When you first open it, you’ll see this screen. Register if you like, so that you can save your locations; but it isn’t essential. The link will open a What3Words page in your browser, with a map showing the location. Try it here: civil.selecting.tenant to get the location of our gites. …then as long as you’ve downloaded the What3Words app, the first time you open the website you’ll be asked if you want to open the page in the app. 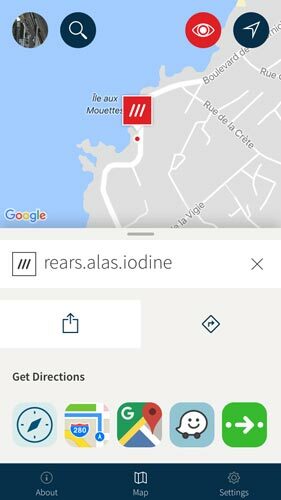 Thereafter, each time you tap a link in this website it will open automatically in the What3Words app. You’ll see two new buttons: the first gives you the option to share the location with others. 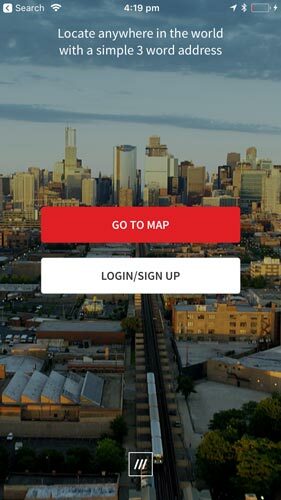 The second button gives you access to your route-finding app. Tap it. What3Words will now show you all the mapping apps you have installed on your phone or tablet. You can choose to navigate there in Google Maps, or Apple Maps if you’re on an iPhone, or Waze (our favourite), or whatever app you choose.